Skiers and snowboarders will slide with style in the RCR Rail Park as they compete against their peers for the top spot in their respective categories. Cash prizes will be awarded to the top competitors in each category. Open to both skiers and snowboarders. They’ve changed things up a little this year! Cash Entry = CASH PRIZES! Registration cost is $10 cash – Winner takes all! (in each separate category). Register online. There will also be extra prizes given out throughout the day. Registration is in the Day Lodge on the day of the event (no pre-registration). A huge thanks goes out to our title sponsor: Raging Elk Hostel & Kodiak Lounge. Spend a night, not a fortune at Fernie’s premiere hostel or enjoy a cold beverage in the cozy Kodiak Lounge. For more information visit their website at http://ragingelk.com/. 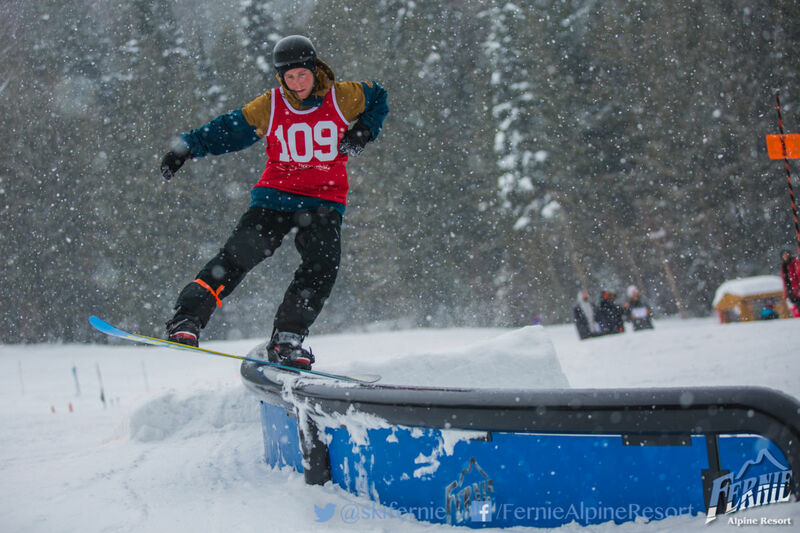 Thanks to our silver sponsors this year – Giv’er Shirt Works, Soar Studios & Fernie Physio.